I always had this dream of moving to a country which gave me several good opportunities to grow in life. After much research, thinking and guidance I planned for Canada immigration. I must thank my spouse and Kansas Overseas equally for supporting and assisting me in this process. Today, I am living here in this lovely country with my spouse and kids from past two years. I thought I will share my experience of living in Canada as a permanent resident and motivate thousands to come. kansas overseas is a best immigration consultants in India. Being into the Information Technology, I found destination better than Canada. While the United States has its own opportunities for techies like me, the immigration process would have taken my lifetime. Hence, I opted for Canada Immigration Consultants. I started my job search while I was in India, simultaneously with my visa process at Kansas Overseas Careers. The put good efforts and engaged me with few of the employers. However, I was only able to crack the interview after I landed into the maple country. Finding a job for my spouse was not difficult either. It hardly took us two months to settle in this country with a cozy place to live and a society to easily mingle. Now, I feel Canada my home. My next concern during the Canada immigration was the education of my children. I was aware that there are plenty of public elementary education and secondary schools in the country which are free, but I was uncertain of the facilities and the standard of education in these schools. After I experienced, I must say it is par excellence. These schools have different levels of elementary school, middle school, junior high and high school. In high school the students are prepared for university courses. There are several good daycare centers in Canada too, and in which I have enrolled my youngest kid. At the time of applying for the Canada PR, I had also inquired about universities in Canada that allowed me to take up higher education while I work. I found one which has good night study facility and offers tuition in the best fee. Overall, Canada’s education system is organized, a definite recommendation for the young generation. 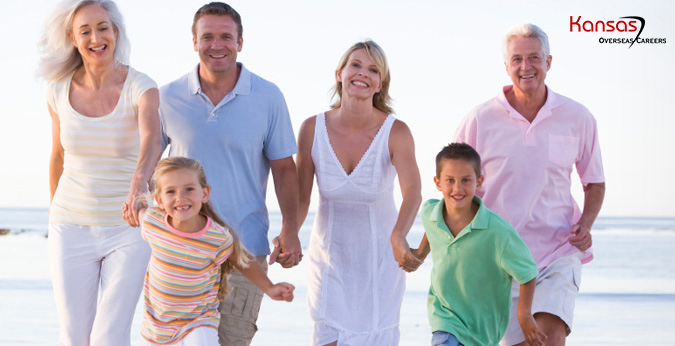 One of the biggest concerns that any family man or woman like me will have is the health of his/her family members. Since I had migrated here with my entire family and have plans to soon sponsor my parents and in-laws through parents and grandparents program, I was really worried about the medical expenses. Fortunately, the saying of healthcare being free in Canada is true. Whether it is a regular checkup or a major surgery, we never had to empty our pockets for healthcare expenses. The government sponsors it all. You may have to spend the amount on dental care though. While these are a few benefits of Canada PR I have listed, there are much more an immigrant will experience. Starting from social benefits, unemployment benefits, security, and protection under Canadian law to pension benefits and citizenship, Canada has a lot in store for immigrants like us. For people who are planning to settle in best countries of today, I certainly recommend Canada. Its migration process is easy and with assistance like that of Kansas Overseas Careers, there’s nothing to worry. All you do is submit all asked documents and relax and your process is secured through a trusted agent. There are a large number of immigration consultants but I think Kansas Overseas Careers is by far the best, especially for trust and price value. I still remember that when I first consulted them and told them that I was looking at Canada as immigration option but was concerned about my family; their friendly immigration experts told me that this is one of the best countries for family unification. I got to know about the immense benefits that we as a family could enjoy here in Canada. They discussed in detail about all the formalities and guided me properly. Today I am more than happy to be settled in Canada with my family and I hope you all this opportunity of quality and successful living in Canada. We thank our client for sharing this experience. If you too want to experience living in Canada, we will make your visa process a success for you through our expert guidance. Consult our Expert or call 1800-102-0109 and know how we can help you and your family become a permanent part of Canada!